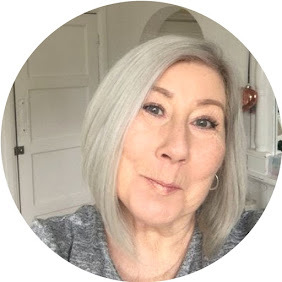 My love for The English Mineral Makeup Company continues with some new discoveries, if you have not heard of the brand take a peep here where I first discovered them. There are 7 tone correctors in the range one for every skincare problem, shown here is the Green which reduces redness, a fabulous base under foundation to reduce the redness of *hot moments* or Acne scars, as always the finest milled minerals on the planet apply with ease and a little goes a long way. With the 8 shades of highly pigmented powder you can be as subtle or dramatic as you like, as a blush these are gorgeous for providing subtle hint of colour when used with a delicate hand with the little Kabuki brush included, the shade I trialled was Blush Cool which was a delicate Rosy Peach, really flattering. I have always been wary of any kind of powder blush as I often find it quite ageing, not with this it sits beautifully on the skin. This is something you could completely miss when looking at the brand site, it would be a shame to miss it, this is something of a little pot of genius, this crushed pearl eye illuminator is a bit of a game changer, literally used under the eyes it both conceals dark shadows, while reflecting light on the orbital bone area to really lift and brighten the area, on first impression it may look like a simple highlighter, don't be fooled this little pot is positively magic, I used a fair amount which blended away really easily, I am honestly impressed. Now THIS I am positively in love with ! It comes in 3 shades Gold, Bronze (shown here ) and silver. I have never experience such a beautiful shimmer, glow is definitely the right word for this, it's not Christmas tree glitter is adds a beautiful glow to the body, I used this on my shoulders, collar bones and best of all shins, yep that's right, shins, If you have ever watched a film or TV show of a gorgeous superstar they always sit crossed legged, tanned with incredibly shiny shins ( daft but true ) this product gives you those shins in one easy swipe, I used the little sponge for this, it really does have a slimming effect on your legs ! I have gone a little overboard with pictures as I really wanted you to see this up close and personal. The English Mineral Makeup Company can be found Here. Don't forget samples are available.